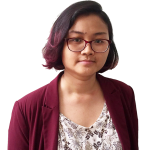 Anbar Jayadi is a researcher at the BGA Indonesia Jakarta office. She is responsible for identifying trends and patterns from cross-sectoral policies and maintaining networks and relationships across government and other relevant institutions to gather intelligence to support research for clients. Prior to joining BGA Indonesia, Anbar taught in the prestigious faculty of law at University of Indonesia. Her research expertise included data protection, sustainability, and public international law. Anbar was a visiting scholar at the Brussels Privacy Hub where she published a paper about enforcement of Indonesia’s data privacy laws. Anbar obtained her master’s degree from Vrije Universiteit in Amsterdam, funded by the Indonesian Ministry of Finance’s Endowment Fund for Education, and her bachelor degree in law from the University of Indonesia.